For more information on Colon Cancer Screeing, call Gastrointestinal Specialists PC in Troy, MI at (248) 273-9930! 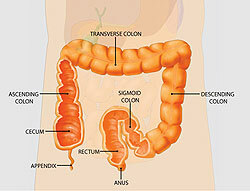 Open access colonoscopy is a service provided by Gastrointestinal Specialist P.C. to allow healthy patients (without significant medical problems) to schedule a colon cancer screening colonoscopy without the inconvenience of a physician consultation prior to the procedure. To qualify for this program, complete a medical questionnaire and provide us with your current insurance coverage. Your questionnaire is reviewed and your insurance is contacted to verify your benefits. You will be contacted to schedule a colonoscopy appointment or an office visit (if the completed questionnaire indicates a pre -procedure consultation visit) based on the information provided.